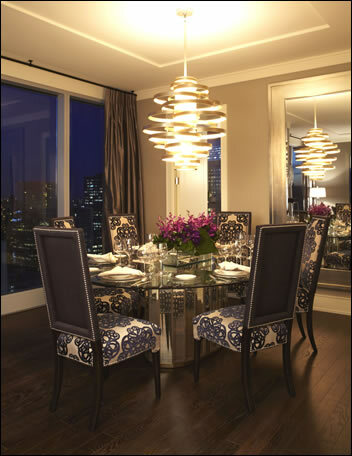 UNPRECEDENTED OPPORTUNITY AT THE RESIDENCES AT THE RITZ‑CARLTON, TORONTO! 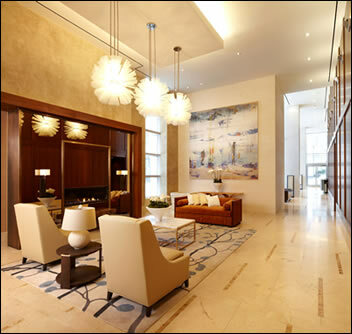 ≈ Comments Off on UNPRECEDENTED OPPORTUNITY AT THE RESIDENCES AT THE RITZ‑CARLTON, TORONTO! Get ready for the luxury event of the decade! On Saturday, April 30, 2011, a ONE-DAY SALE EVENT at The Residences at The Ritz‑Carlton, Toronto will offer ultra-posh living at unheard-of prices. The Grand Opening of Toronto’s finest 5-Star luxury hotel and condominium is the perfect time to explore the residential opportunities at this prestigious address before prices go up in May. Anyone for whom compromise is a thing of the past will want to take advantage of this sale, as suites up to 6,000 square feet in size will be available for never-to-be-seen-again prices starting at $1.5 million. When you consider the international luxury condominium market, this represents incredible value. And wait until you hear this – during the ONE-DAY SALE EVENT, ten finished suites will be available to tour, including two decorated models. One of these beauties is decorated to the nines by the incredible firm 1212 Décor. You simply have to see it to believe it. What a fabulous way to experience in person the potential for transforming one of these suites into your own personal haven. The models will give people a good idea of the level of finishes and luxury in these Residences. There’s more! Remember that with available suites starting at the 34th floor, each is essentially a penthouse with million-dollar views of the lake and city … well, during the ONE-DAY SALE EVENT only, there are no floor premiums! A tour through the amenities will offer a glimpse of the magnificent lifestyle suite owners are enjoying. The hotel is buzzing with excited activity, and the stylish bars and feature restaurant are now THE hot spots for Toronto’s elite. And the spa … OH, the spa … has already become THE revitalization destination for pampering. The ballrooms and function rooms are booked for prestigious events. And suite owners live above it all, with access to all these wonderful amenities. PLUS, The Residences is home to exclusive amenities of its own including a gorgeous landscaped terrace with panoramic views of the lake all the way to the Golden Horseshoe. Topping it all off, The Residences will be managed by The Ritz‑Carlton, which means that the legendary level of service for which this brand is so well known will enrich owners’ day-to-day lives even more. This remarkable sale is truly a once-in-a-lifetime opportunity at a one-of-a-kind condominium in “Toronto’s new Yorkville.” Anyone interested should register NOW to receive a special Preview Information Package. Call 416-416-591-1000 or visit ritzonedaysaleevent.com.